The buying process should be a combined effort between you and your spa dealer to answer any questions you may have and to leave you feeling comfortable with your decision. Through discussion we will be able to offer suggestions as to which spa would best fit your needs. Whether it be simply a gathering place to relax and catch up with family and friends or very specific therapeutic needs, Island Pool & Spa will be able to help. How much should I expect to spend on a spa? Spas come in a huge range of prices, all of which reflect the various features, materials and craftsmanship. While going with a less expensive spa may seem enticing up front, you may find that the less efficient insulation, pumps, heaters and energy usage end up costing more in the long run. Another consideration is that less expensive spas come with shorter warranty periods. 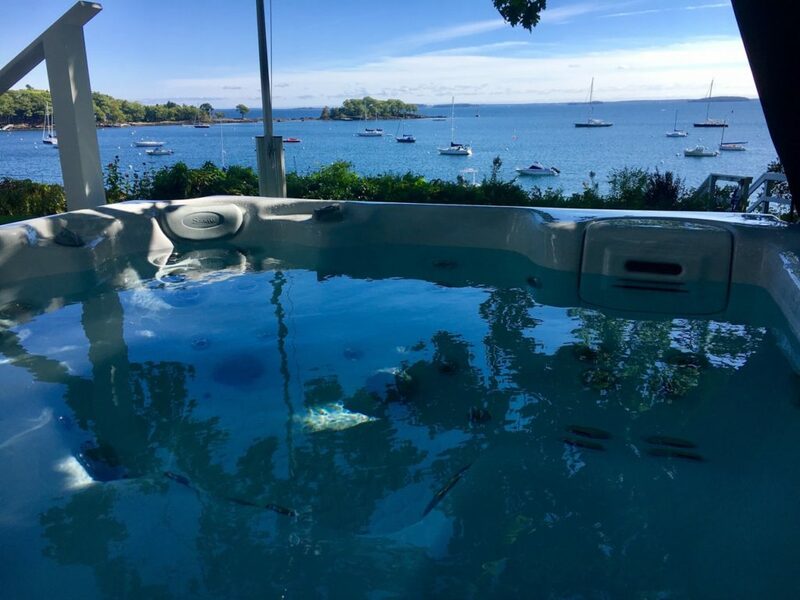 Island Pool & Spa offers three different lines of spas with many different models in each. • Economy Line: $3499. to $5195. • Special Edition Line: $3995. to $6895. • Luxury Line: $5795. to $12000. With all the brands available to the consumer, are some brands better than others? Absolutely! With todays online presence there are many products being made to compete only on a price point advantage. An ongoing relationship with your retailer is important, especially with a product such as a spa where questions or service needs may arise and a timely response is needed. Buying a spa is a decision you shouldn’t feel rushed or pressured into and you should take the time to talk with your local spa dealer about any questions you may have. Sales are often used to create an urgency that pressures people into making quick decisions. Buying a spa is a big purchase and we want you to be completely comfortable with your decision to buy. What is the difference between buying a 110 or a 220 spa? There is a lot of difference. 110V need a 30amp or 20amp breaker which most people have, or they come plug and play with their own cord and GFCI (ground fault breaker). 220V spas require a 50 amp GFCI and have no cord so a licensed electrician must hook them up. A 110V spa will heat much slower requiring 24 to 36 hours to come to temperature and may not maintain temperatures in the dead of winter. Most spa owners will enjoy running their spa more with a 220V hook up when possible. When a spa is wired 110V it will only heat when the pump is running on low speed. When the pump is turned on high speed on a spa that’s wired 110 volts, the heater will shut off, which can make maintaining temperature during the winter difficult. What should I expect to pay monthly for electricity? It is impossible to give the exact figures concerning monthly operating costs because of numerous variables. Your monthly energy bill is dependent on how often you use your spa and at what temperature. Other important factors to consider include the amount of insulation the spa has, whether it has a circulation pump and the quality of the cover. Generally you can figure an average of $30. to $40. per month. How often will I need to replace my cover? This will vary with the brand of cover that comes with the spa. 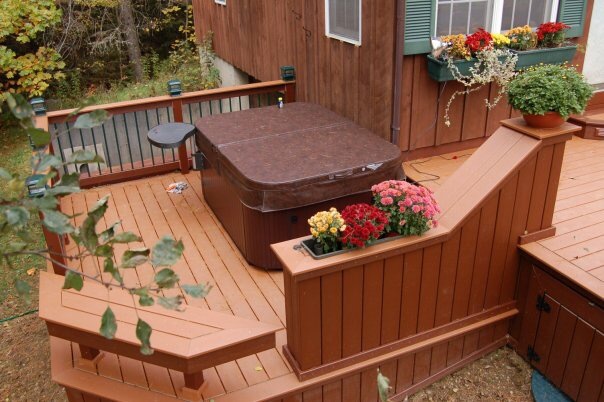 All our Saratoga Spas come with a Sunstar Cover which typically last 6 to 8 years with proper care. They have a full three year warranty. No matter how well a cover is insulated from the water it covers, the foam will eventually become saturated with water. It then becomes too heavy to manage. With a less expensive cover you can expect to have to purchase a new cover about every 2-3 years. You will need to change the water when the organic waste material and total dissolved solids become so high in the water that your sanitizer can’t keep up with it. Most of our families change water about every four to five months. Filter cartridges should be replaced every 2 years and cleaned with a filter cleaner every time the water is changed. Periodic rinsing of the filters may be necessary in between water changes. What can I expect to spend on chemicals a year? There are several options for sanitizing your spa. A spa that uses a basic chlorine or bromine sanitizer will be looking at approximately $100. per year. There are alternative options for people who are chlorine or bromine sensitive that enables them to use much less sanitizer. Expect to spend more for these. Many of our spas come equipped with an ozonator which reduces the amount of sanitizer needed. How difficult are spas to install? 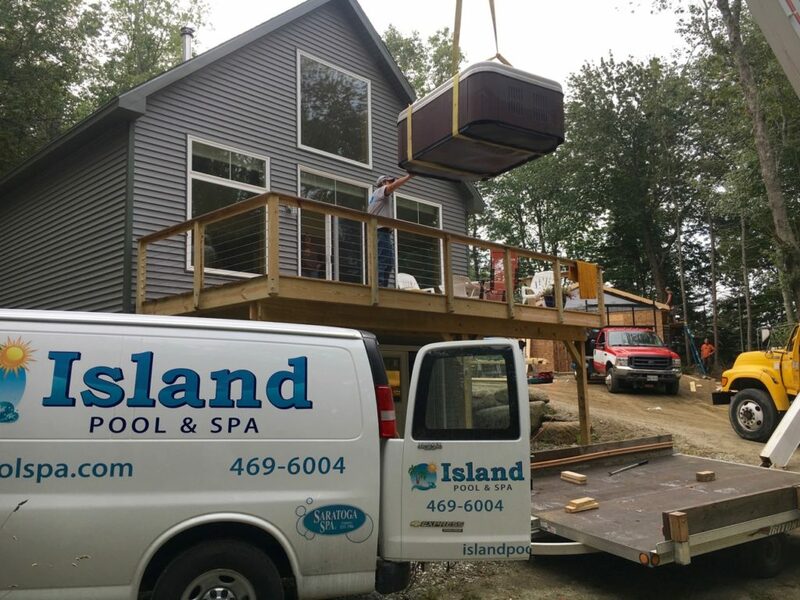 Hot tub installation is far easier than most first-time buyers think. You need to have a proper foundation, which can be a concrete slab, or a reinforced deck. You also need to have the proper electrical supply, which can be done via your local electrician. Some 110 volt spas, called “plug and play”- do not need any additional electrical work. All portable spas are filled with a garden hose. How easy are spas to maintain? This falls back on the quality of the spa you buy. Our Luxury line spas features a continuous purity circulation pump, continuous Microban filtration and ozone sanitation. These features make maintenance easier than ever. Testing the water on a regular basis is important. We’ll teach you this simple process and will always be here to help. To see what customers have said about us and their Saratoga spa check out our testimonials.